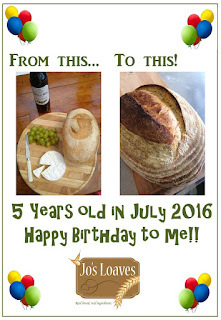 Jo's Loaves: Happy Birthday to me!! My blog is getting a bit like the Four Seasons markets at Potton - only 4 times a year! With all best intentions to keep you posted of news and events and as much as I enjoy having a good ramble on, I find it difficult to make the time. A whole month and a bit ago (I think it was May) I received a Highly Commended (that's second) from the Bedfordshire Food and Drink awards as a result of all my pleading and begging amongst all my customers to cast their vote for me, so I would like to thank each and everyone of you for doing so, as without your votes, I'd have got nowhere. My husband took the day off work to accompany me to the ceremony, so it made it worthwhile. The fact that I had to try and drink my own bodyweight in complimentary wine to cover the fee for us to attend the event, also helped. Some weeks following this, our son went to his first cub camp - FOR TWO NIGHTS!!! A great bit of freedom for us there, although It was on a Hitchin Market day, so for a change, I persuaded my hub to come and do the stall with me. He worked really hard and I don't think I've ever sold so much bread pudding on a stall before. We had a night out planned later on, although I think the experience exhausted him somewhat. Last week, I did the biggest event of my bready career, which was the St Albans Country Fair. I had no idea what to expect, so I made as much bread as I possibly could for the two full-day event and set off, bleary eyed on the Saturday morning to set up shop. We got there around 8 and had best part of 3 hours to leisurely set out our wares. Helping me were my two dough nuts, Shirley and mum. i had no idea what to expect from the event but let me tell you it was very hard work and very hot too! Most people who attend these events do not come for bread, so we had a huge challenge ahead to pull people in. It helped that I did a few talks in the cookery demonstration tent as that tended to give us little flurries. Towards the end of the two days, I did something that I never do - did an offer of 2 for 1 on all remaining loaves. I work really hard to produce good bread and I know that my loaves are very reasonably priced compared to other bakers and stalls I've come across - and these tend to be the ones with all the equipment, premises and staff! I think out of 291 loaves, After giving a couple to stall holders and to mum and Shirl-girl, I think I took home about 29 small loaves for the freezer, which wasn't too bad in the end. Never, Never again tho. And so to this week. 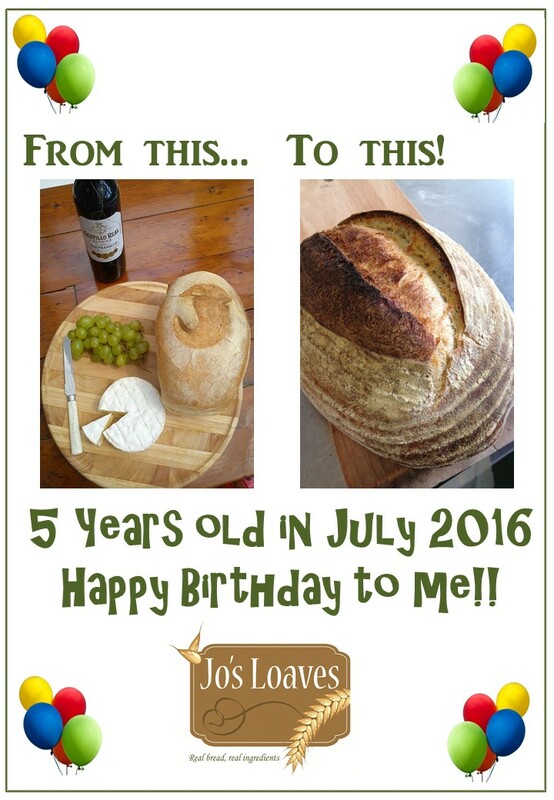 On this this day, 5 years ago, Jo's Loaves was born as my little hobby business. Who knew I'd make 5 years!! Certainly not me, but I am very proud at what I have achieved and I hope to do more in the next 5 years.